SEBASTIAN – Have you seen those new scanners inside the Sebastian Walmart? 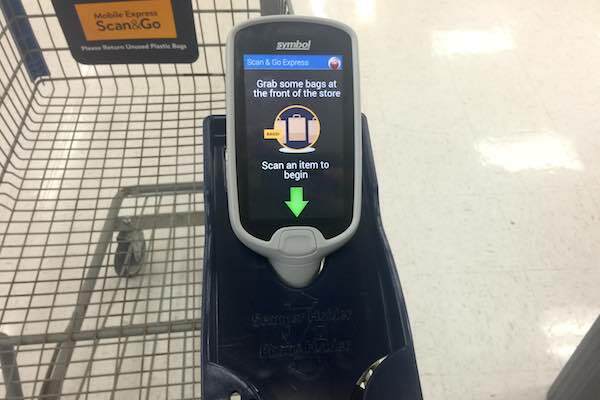 They are called Scan & Go, allowing customers to use a handheld device when purchasing items in the store. Most people looked puzzled when walking into the Sebastian Walmart Store. Theses new handheld scanning devices are on a rack as you enter the store, with paper shopping bags hanging next to them. The shopping carts are also equipped with a holder for the Scan & Go shopping device. 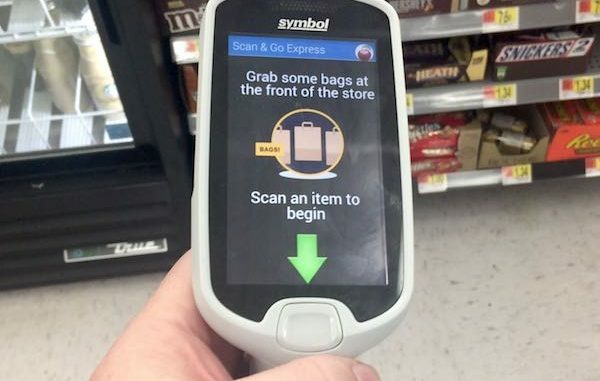 This new scanner was quietly introduced after Walmart said they listened to customer feedback and developed a new tool to make purchasing easier, without waiting in the long check out lines. “All you do is click a button and scan the items you want to purchase. Once you’re ready to check out, walk up to any of the Self Check monitors and scan the black square with the Scan & Go tool,” a Walmart spokeswoman told Sebastian Daily. We gave it a try by purchasing two candy bars. We picked up a handheld scanner at the entrance near the shopping carts and scanned the first barcode on the first candy bar. The Scan & Go Walmart device made a sound and showed me the item and price on the screen. We then scanned the second candy bar, it showed the price of that item, then showed the total. We walked into the Self Check and pointed the device at the black square on the monitor while holding the button. Presto! The items we scanned appeared on the screen, and all we had to do is pay. Shopping this way means fewer lines waiting for a cashier to scan your items. 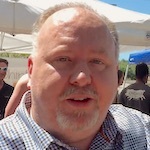 Additionally, this will help customers to stay on budget because they will know what they are spending as they shop. If you haven’t used the Walmart Scan & Go handheld, give it a try. It’s easy, and there are employees around to ask if you need assistance. 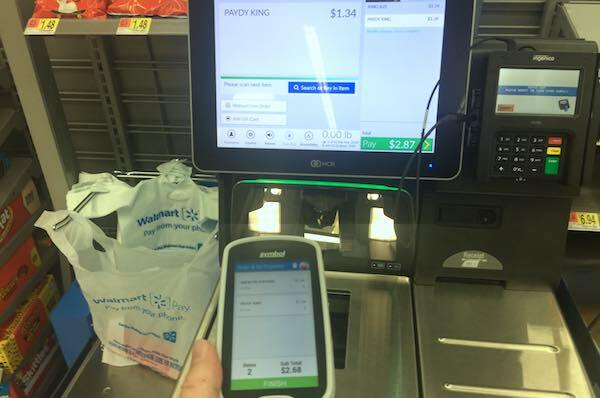 The Scan & Go Walmart app is also coming soon to your mobile phone. And if you buy something online from Walmart and want to return it, all you do is scan the barcode with the app and drop it off at customer service. The app does the rest. It seems like more companies are going in this direction. The Sebastian McDonald’s is already set up for customers to enter their order on a screen, pay, and then pick up their food at the counter. Will this impact jobs at Walmart? Of course, this has many people wondering about Walmart employees job security. According to reports, two-hundred Walmart stores will have the technology by the end of 2018. Hopefully, Walmart will be transferring cashiers to other positions. Only time will tell.